The Cargill Agri-Fellow Program helps rural youth to build successful, agriculture-based livelihoods and create a prosperous future for their farming communities. 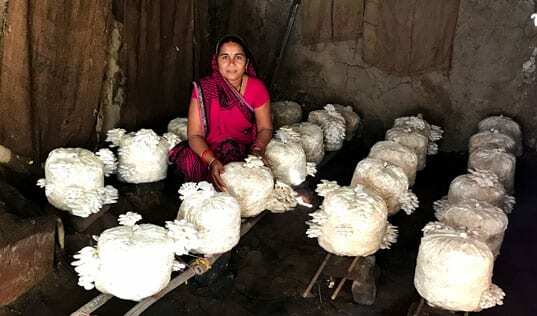 After Jagdeesh completed the Cargill Agri-Fellow program, he planted marigolds on 3 acres of his family's coconut farm, more than doubling his income. Jagdeesh is from a farming family who cultivates rice, coconut and other crops on over 9 acres of land in Davangere, India. In addition to his agricultural background, 30-year-old Jagdeesh has strong business acumen. He studied commerce, and used his knowledge to improve the farm and to open an input shop in his village, an important resource for other local farmers. Stories like Jagdeesh’s, however, are hard to come by. Around the globe, fewer and fewer rural youth see a future for themselves in agriculture. The age of the average farmer grows older while the rural landscape in India and elsewhere is drained of a talented younger generation who often leave their homes to make their livelihoods in the city. This exodus leaves a vacuum of agricultural knowledge, skills and businesspeople to support existing or new farming enterprises, further deterioriating the appeal of an agricultural livelihood. For this reason Cargill and TechnoServe developed the Cargill Agri-Fellows (CAF) program to support a younger generation of agriculture entrepreneurs in the Davangere district of India. The Agri-Fellows program – part of the Saathi Project, a broader collaboration between TechnoServe and Cargill India – aims to create agriculture-based livelihoods for youth from farming households, strengthening the agriculture ecosystem by providing agricultural extension support and assisting young entrepreneurs in ventures that provide solutions for local farmers. When Jagdeesh joined the six-month program in April 2016, he and the other Fellows began a month and a half of practical training at the University of Agricultural Sciences in Dharwad, Karnataka. The university setting fosters an innovative environment where program participants can focus on how and where they can build careers in agriculture. There, Jagdeesh learned about and discussed the region’s agriculture and agribusiness needs, and began to formulate his business plan. 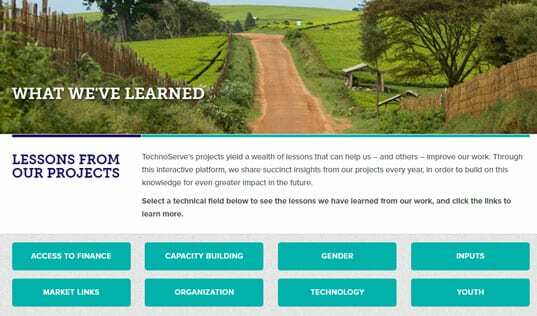 With his coursework complete, Jagdeesh began the field component of the program, working alongside the TechnoServe project team and sharpening the skills he would need to make his business a success. He had developed an interest in horticulture during the practical training, and, together with the Saathi Project team, formulated a plan to intercrop marigold plantations within 3 acres of his coconut orchard. An important aspect of the CAF program is the diversity of participants' career trajectories. Some Fellows, like Jagdeesh, decide to start their own ventures, while others look for employment as extension service providers. The program will graduate 30 Fellows in two batches – including 20 percent women – who will then develop sustainable business plans. The program also focuses on ensuring that the future extension officers and service providers among them are equipped to provide these entrepreneurs with the services and infrastructure they will need to succeed. Among the first batch of graduates you can meet dairy farmers, mushroom producers, drip irrigation engineers and vermicompost providers, among other professionals. This diversity will directly help build the business support infrastructure, and facilitate further agricultural development within the community. Armed with a business model for cultivating marigolds, Jagdeesh approached Synthite, a company that now provides him seedlings at nominal cost and assures buyback of flowers at a fixed rate. Jagdeesh also planned his planting cycle around traditional festivals in October, when he knew demand for flowers would be high. 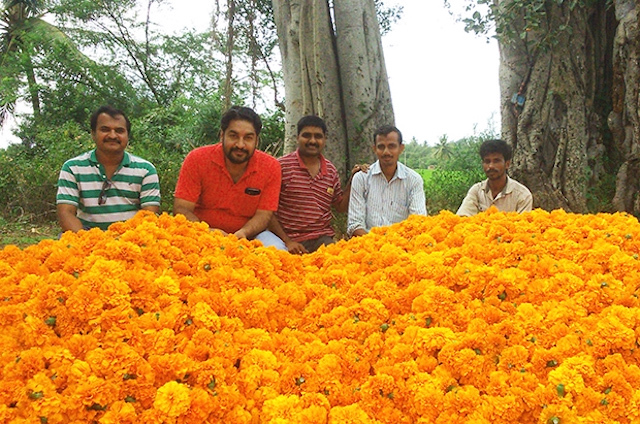 After his first harvest, Jagdeesh sold 4 tons of flowers in the retail market and supplied Synthite with 20 additional tons of marigolds, earning approximately $2,700 in revenue by December 2016. (Previously, the family's income from all farming activities was around $4,500). 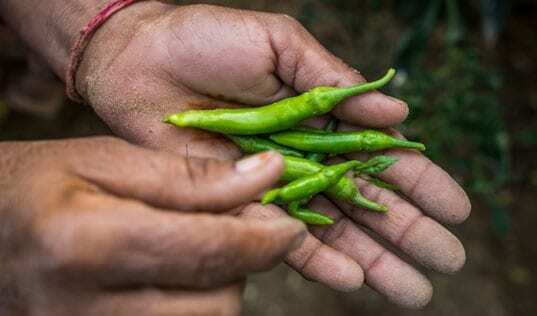 With such a promising start after only three months, Jagdeesh now plans to integrate his intercropping method into 4 more acres of his land, rotating a total of eight crops. Jagdeesh can confidently invest in his business, knowing that in addition to TechnoServe’s follow-up support, he also has a community of fellow agricultural professionals to provide the inputs, services or advice that he may need. 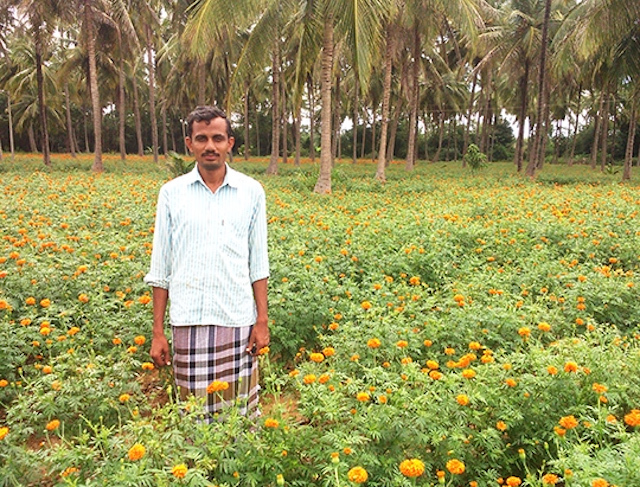 Jagdeesh’s marigold harvest represents a golden opportunity for Davangere as this first wave of Agri-Fellows helps establish an agricultural ecosystem that will allow their families and their region to thrive.